Munchkin Land Designs: It's Here! Free Design, Anyone? It's Here! Free Design, Anyone? I am so excited to share with you the new look for Munchkin Land Designs. I hope you find it as bright, fun, and cheery as I do. Take a look around, click on the links and buttons, and come back to tell me what you think. I think this design will be around for a while. Its just too fun! 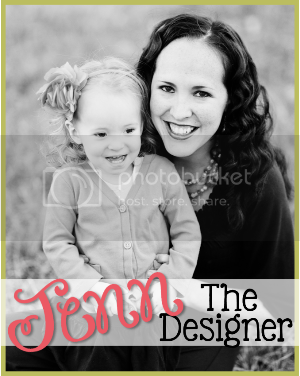 And now, to celebrate Munchkin Land Designs new look, I'll be giving away an Elite Blog Design. Yay! Who doesn't love a new look for their blog?! You must be a follower of Munchkin Land Designs AND leave a comment to be entered for the giveaway. Extra Entry #1: Post about this giveaway on your blog, it must include a link back to Munchkin Land Designs. Come back and leave the link to your post. Extra Entry #2: Post to Twitter or Facebook about the giveaway with a link to Munchkin Land Designs. Come back and let me know this was done. Entries will be closed at 10:00pm(MST) on Thursday, April 7th. ** And just a reminder, the first person to leave a comment on this post receives an additional entry too. I also have 8 new designs in the gallery, so be sure to check those out too. You know I follow your blog!! Love the new design! Hopefully I can figure out how to do all the other things for the extra entry I really need a blog make over. Posted it on my FB page too!! Jenn I adore your work and am super thrilled with my latest blog design from you. 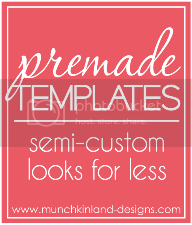 Many of my blog friends have also found the way over to you and had designs done as well. That is wonderful! Your new design is cheerful and oh so pretty. Love it! Great job! I am thrilled to now be following your blog! I would also love to win this but regardless, glad I found you! sign me up!! I'm sending a shoutout on twitter too... pick me pick me! I already share the love with a Munchkin-Land Designs blog, so don't count my vote but I am soooo excited for the new look. I'ts lovely and people will just LOVE working with you! I love your new look! I am a follower and in desperate need of of new look!! And I tweeted about it - my handle is bethlikeadayoff! Aw, man! Here I've been checking here for days to see if you've changed the look yet...and I wasn't around the day you did! Shoot. At least I get one entry though! I really like the new look. I am a follower of this blog! I don't know if I will win but if I do, I think that it would definitely be neat! I'm a follower, and I'm DYING for a new blog design!! I am a follower (of course)! Going to tweet right now! Hi! I'm a new follower. I love all of your designs! Thanks for such an awesome giveaway. I'd love a free blog makeover! New look it great! LOVE! I'm a follower and would love to win!! I'm a new follower and need to win! I just became a follower! I am a follower and simply love your blog designs!!! I'm a follower and love your work! I LOVE your new design, Jenn! I just became a follower. I would love to win a makeover! All your designs are super cute! A great giveaway! Here is a link to my blog! I have officially posted a link on my blog! I'm a new follower, thanks for a great giveaway! I'm a follower! Great giveaway! I posted a blog about your giveaway! Check out @nashmelrose for my twitter post! I am a new follower from Dave & Britt's place! I can't wait to look around a bit. I have never had anyone design for my blog! I would love it! Posted about you on my blog!! I'm a follower. Your site looks great!!! I linked to this on my FB account- it's private because of my job but I put it in my status that I'm trying to win a new blog makeover!!! I'm EXCITED! I am a follower of your blog; your new design is super cute and springy! PLease pick me, I just became a follower and man my blog needs a makeover! I would love a blog makeover! I would love a blog makeover! I am due for update, so win or not I'll probably be contacting you! I'm a new follower and could definitely use a bloggy update! I saw your blog makeover on Dave and Brit and I think it turned out great! I would love to have one myself! just came to check out all your fab designs! kelly sent me over... you rock! I would love love to win this!!! You do great work! I came over from Dave and Brit Plus One More and I wanted to say hi! I love your designs! I would just love to win this! I am a new follower! Your stuff is too cute and I'm looking for a new blog design! Sheri Prescott from Purely His recommended you and I just love your designs. I would love a new design, Blogger just cannot offer anything really nice and I would love something special!!! Love the new design!! And I'd love one myself. :). I'm a follower. Holy cow! 103 comments Jenn! you are AMAZING!!! Enter me, I'm a follower! I tweeted about the give away too! OK I am a follower! I'm long overdue for a new look - Would love to have you do the honors! I am a follower and I posted your blog on my blog page. I love your designs. I posted you on my face book at anita k williams. Good luck with getting new business. I would love to win a new blog design! Yay!!! Following now! I am a new follower!! I love "Not Quite Legally Blonde"! Oh wow! I love your blog design. Simple, yet colorful and attractive! I am now following your blog. And I tweeted about it!! Entry #2 - I tweeted about your giveaway! Entry #3 - I added the link to this giveaway to my FB page! LOVE the new site! It is so bright and fun - perfect for spring! I'm a follower of your blog now! I'm a follower and would love a new design - you do great work! Um yes please! This is my first entry, I'm a follower:). Posting your link in facebook Niveditha Babu-Vellingiri. I love your work and would love some help for our cooking blog http:// www. slurpsnsmacks.blogspot.com. Thanks ! !